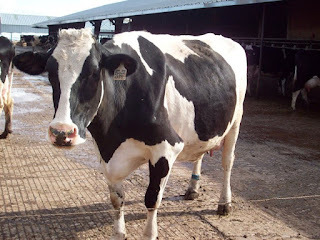 Kimmi's Dairyland: Dairy FAQ: Are all dairy cows black and white? 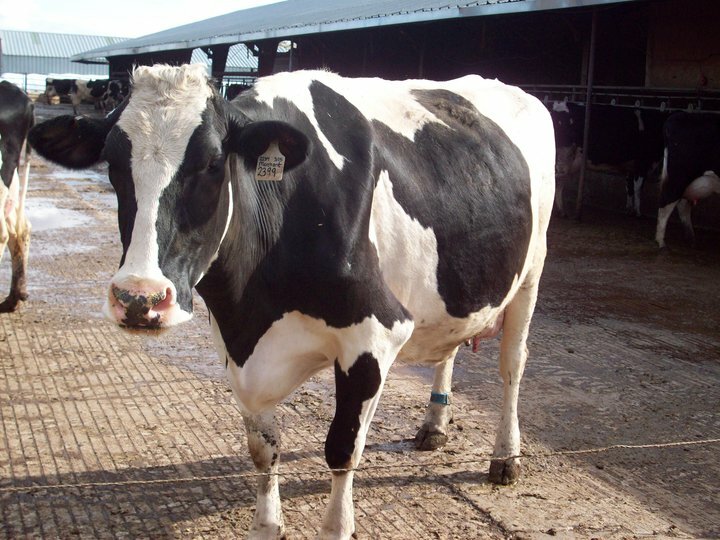 Dairy FAQ: Are all dairy cows black and white? It's quite a lovely site. The picturesque view of black and white dairy cows on pasture as you drive by. We know that dairy cows and beef cows are very different, but are all dairy cows black and white? Nope. 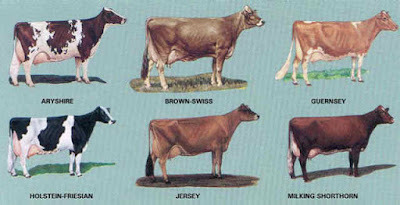 There are six major breeds of dairy cattle in the United States. Seven according to World Dairy Expo, which places the red and white (more of a reddish-brown and white version of the typical black and white cows) Holsteins into their own class. 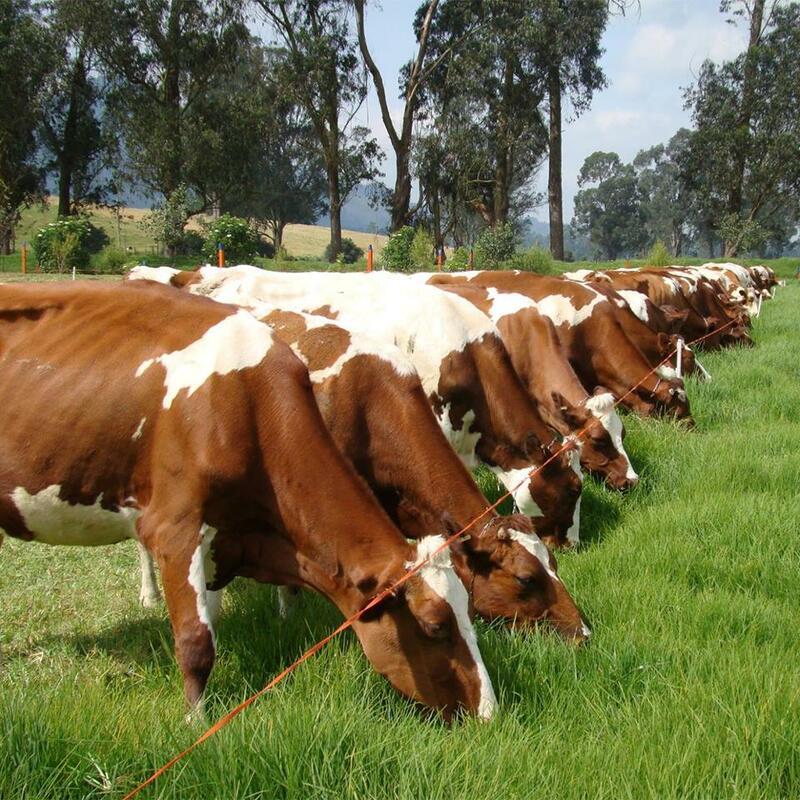 The red gene is recessive in the Holstein breed, which is the most common of the dairy breeds and likely what you will see on most dairies you visit. 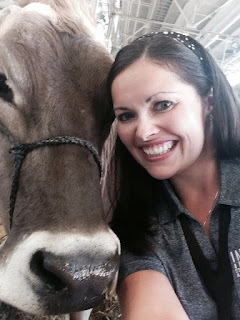 The six breeds are: Ayrshire, Brown Swiss, Guernsey, Holstein, Jersey and Milking Shorthorn. The next most common is the Jersey. While Holsteins tend to be taller and produce more milk by volume, Jerseys produce lower volume and higher butter fat, which is great for making ice cream and cheese. A Jersey grazing on pasture. Photo credit: Bradley Taylor. Picking favorites within breeds can become quite the heated discussion with dairy folks. Here are some photos of the other breeds. 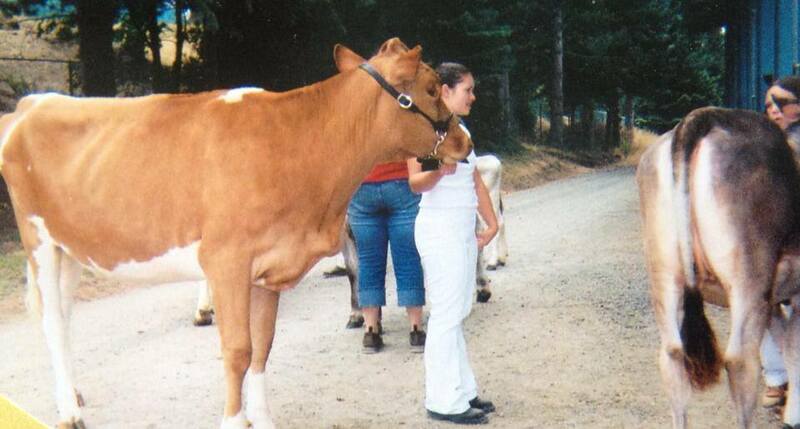 My Guernsey yearling (basically a teenager), Jodie, getting ready for a 4-H dairy show back in the day. This is one of the friendly Brown Swiss dairy cows Purdue University brought to the state fair last year. Ayrshire dairy cattle grazing on pasture. Photo credit: U.S. Ayrshire Breeders Association. Next time you're at a county or state fair, try to pick out which dairy animals are of which breeds.